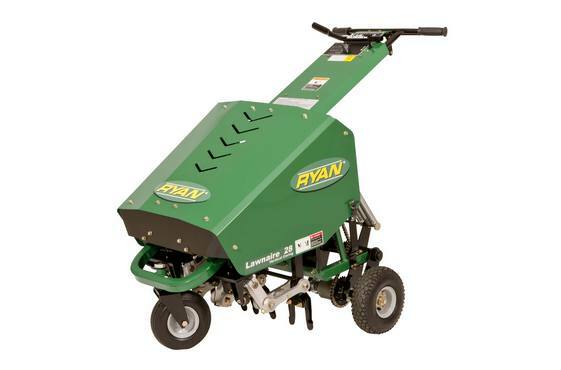 The revolutionary Lawnaire® 28 push aerator offers the cutting-edge technology and precision needed in the golf course industry, and combines it with the durability and efficiency necessary for commercial lawn maintenance. With vertical coring action, the reciprocating tines of this walk-behind aerator are able to punch straight in and out without tearing the turf. And with this machine, precision goes hand in hand with efficiency. 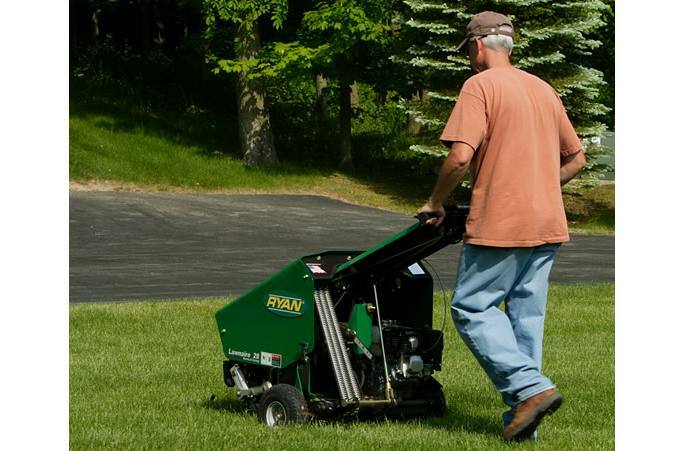 Its 28-inch aerating swath and productive ground speed aerates up to 24,000 square feet per hour. The durable tines aerate down to two and one-half inches, even in hard soil. 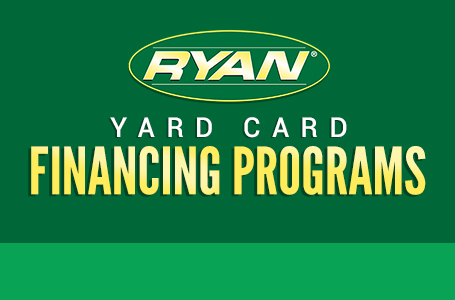 The durable construction features a reinforced, heavy-gauge steel frame. As for ease of use and comfort, a front caster wheel gives you near zero-turn capability and an isolated handlebar absorbs vibration, making operation and maneuvering almost effortless. A unique front caster wheel allows the machine to maneuver with near zero-turn capability. The rear-drive differential feature makes it easier to turn and maneuver around trees and landscape features. Reciprocating tines provide vertical coring action, punching straight in and out without tearing the turf, offering quality on par with golf courses.